SB 1 funds projected caseload growth for Medicaid and the Children's Health Insurance Program for FY 20-21. $22.5M to continue community mental health grant programs established last session. SB 1 includes $284.6M to maintain historic funding levels for women's health programs, which have a record level of provider participants and are serving more women than ever before. 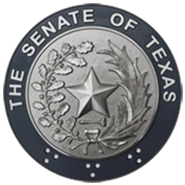 The Senate's budget maintains veterans' services and the Texas Veterans + Family Alliance, a $20M grant program to assist veterans struggling with post-traumatic stress and other mental health issues. DFPS' budget includes additional funding to maintain caseloads at Child Protective Services. SB 1 adds $1.3M to fund the continuation and expansion of the Human Trafficking Prevention team at DFPS. SB 500 provides $300M to continue the Legislature's commitment to improving and modernizing state hospital facilities. SB 1 provides $100M in Article III to fund SB 10 by Senator Nelson establishing the Texas Mental Health Care Consortium. The consortium will leverage the expertise of our health-related institutions to provide mental health screenings and consultations focusing heavily on at-risk youth. Statement from Senator Nelson: "SB 1 ensures we are keeping our commitment to care for the state's most vulnerable Texans, and providing quality services to those who need it most," said Senator Nelson. "I will focus heavily on mental health this session and am working on many fronts to increase access to mental health screenings and services, especially for children and adolescents."